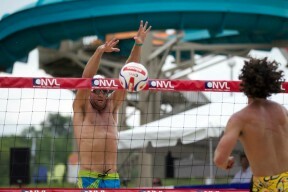 CINCINNATI, Ohio – The National Volleyball League (NVL) is returning to The Beach Waterpark from July 16 – 18 to host the Midwest Championships, the fifth stop on the pro tour this season. The tournament will include a 16-team draw per gender with teams battling for a $50,000 prize purse. Tickets are available for purchase here and at local Menards locations. 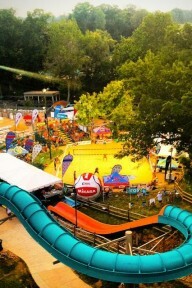 NVL RIZE, the league’s official amateur series, will also host a Clinic with the Pros on Thursday, July 16 followed by a tournament Friday and Saturday, with finals being played on center court at The Beach Waterpark. *Please note times are estimates and may be subject to change. The tournament will be live streamed for free on the NVL Network. Full NVL Midwest Championships event details can be found here. 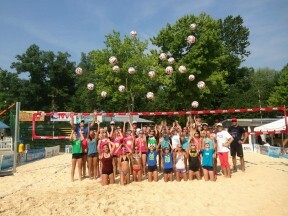 The official NVL Midwest Championships hashtag is #NVLMidwest. August 28-30: Seattle Championships – Alki Beach – Seattle, Wash.
September 25-27: Players Championships – Club Med Sandpiper Bay/NVL Volleyball Academies – Port St. Lucie, Fla. The NVL is currently sponsored by Australian Gold, Bud Light, Club Med, Gatorade, Menards, Mikasa Sports, The ONE Group, and Polaroid. For more information about the NVL, please visit: www.thenvl.com, view the 2015 sizzle reel or follow on Facebook, Twitter and Instagram. NVL’s VB Soul magazine may be viewed here. 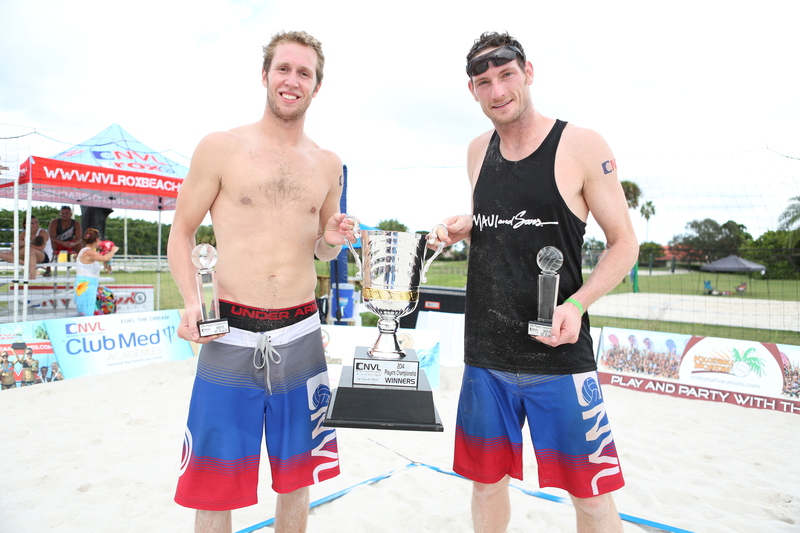 Established in 2010, the NVL is a professional beach volleyball league built by players for all players, united in one mission: to create a sustainable future for pro beach volleyball in the U.S. Home to eight professional events in 2015, a grassroots series, and the NVL Club Med Beach Volleyball Academy, the NVL is the only national platform for current professionals and players of all levels to showcase their talents and pursue their aspirations in the sport. With sand volleyball now a sanctioned high school sport, the NCAA’s fastest-growing emerging sport in history with 50 schools sponsoring it as of January 2015 and a Division 1 approved championship, the NVL is building the infrastructure for young players to achieve their dreams.